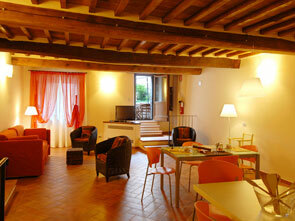 In the historical center of Montepulciano, we have opened three apartments from 2 to 8 / 10 bedplaces. An ideal place for those wishing to spend a few days or a week with a more profound visit of our area, choosing Montepulciano, its charm and its cultural life as the basis of their stay. 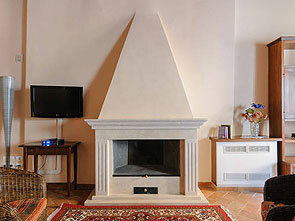 The apartments have a kitchen - living room and one to three bedrooms (each with private bath). The kitchen is fully equipped (including dishwasher). The property is on three floors and equipped with elevator, air conditioning, Wi-Fi and has its own garden in the courtyard. A good starting point for excursions beyond Montepulciano and a peaceful and fully functional place to come back, relax and live comfortably in one of the most beautiful historical centers of Italy. 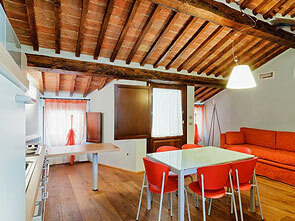 Given the flexible structure we can determine the type of apartment you need. Francesca and Daniel are at your disposal to find the best solution.